Fifty years a member of the Magic Circle and then President. One of the best known personalities of the magical world will hold your attention with memorable accounts of how he met David Devant and was given private lessons by the great illusionist himself. 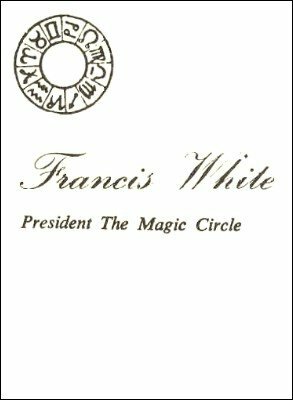 Francis talks about happenings at Royal Command performances and dramatic happenings at the Magic Circle over the years. This is living history.